SERVED: Lawon is going to look back on this past week forever and say, "I made a huge mistake." With a twist looming in the air that the evicted houseguest might have a chance to re-enter the game, Lawon stupidly volunteered to go on the block thinking he'd easily return to the Big Brother house with a game-changing power. He was wrong. Instead, Lawon got unanimously evicted and wasn't getting back into the house easily. He actually had to compete against evicted houseguest Brendon and well, guess who got SERVED? 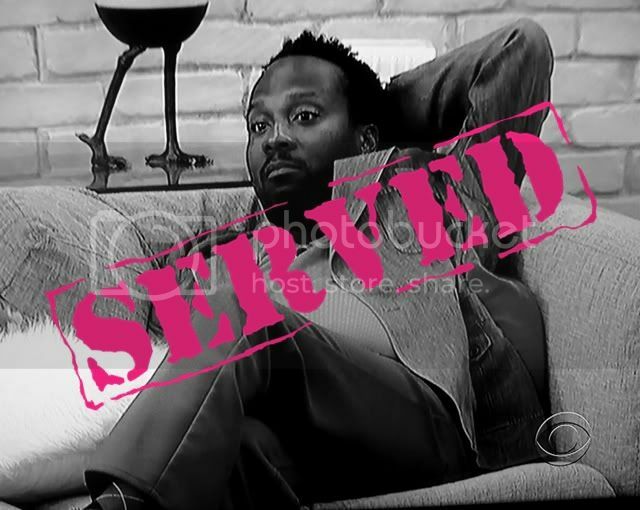 Oh Lawon, this has to go down as one of the top five dumbest moves in Big Brother history. SERVED.